Many of us have a Gmail account. Some of us may have more than two Gmail accounts. Now everyone is connected with Gmail and is known to be one of the fastest mail methods. With this web-based free account, one can easily send notes to anyone anywhere. Due to some or other reason you may want to delete your Gmail account. You can get rid of unwanted Gmail account, but you may want to know the right method to do so. Before you delete your Gmail account, you may also want to keep some of the things in mind. You don’t have any critical document stored in your Gmail account. Your account is not synchronized with other apps like Google Play, YouTube, Whatsapp, and even phone or messages. 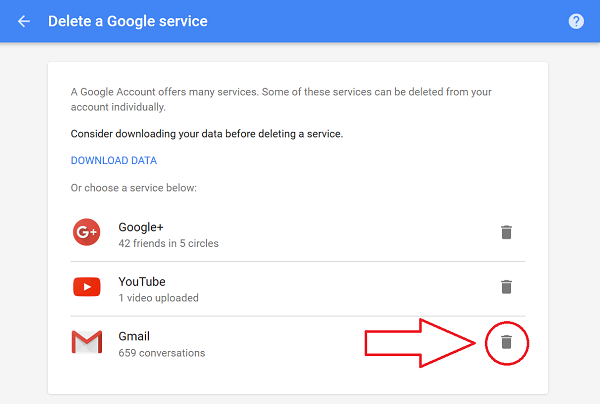 If all the apps and documents are connected with your Gmail account then on deleting that particular account all details, contents, and data will be lost with it. So, before deleting your Gmail email account, you may want to check all that up. #1. 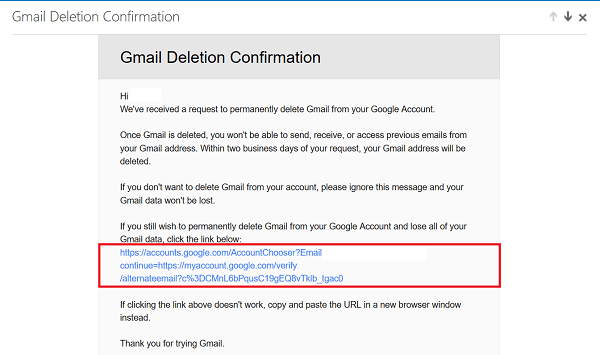 To delete your Gmail account permanently, make sure to follow the following steps closely. #2. Open the Google Account setting page on the web browser. After that login to your account. #5. 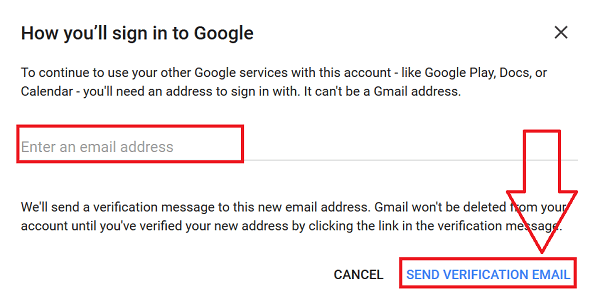 Once you click on ‘Delete Gmail Account’ you will be asked, re-enter the login password of your Gmail account that you want to delete, by the Google team. #6. Once, you click on ‘Delete icon,’ which will be present under ‘Delete Google services,’ lying very next to the logo of Gmail. #7. Here, you need to enter a new primary address, which will enable you to use other products from Google. After that, you will have to click on ‘send verification mail’ tab. #8. After that Google will send a verification mail to your new address. #10. The request for deleting the Gmail account has to be verified by clicking on the link. #11. In case, the link does not work then you need to copy and then paste the URL made available to you in a new web browser. #12. Note: you need to click on the verification mail that you had received earlier to get your Gmail account deleted. You also need to understand that if you close your Gmail account, then you won’t be able to perform specific tasks on Google. All the contents and data like files, photos, essential downloads, and calendars. Accounts like Google Play, Drive, and Gmail will be completely lost to you. Contents and subscriptions bought by the accounts of Google Play, YouTube using the Gmail account will also be lost to you. All movies, songs, and games that you may have bought using the Gmail account will be deleted if you delete that particular account. Bookmarks and such other information will also be a lost cause. Be very sure before you remove/cancel your Gmail account as once deleted permanently you may never be able to retrieve your account. Your account has many important documents, which will be completely lost to you if you delete your Gmail. Thus, this step by step process will help you delete your gmail account easily.